You make an adorable bobblehead, Angelcake. 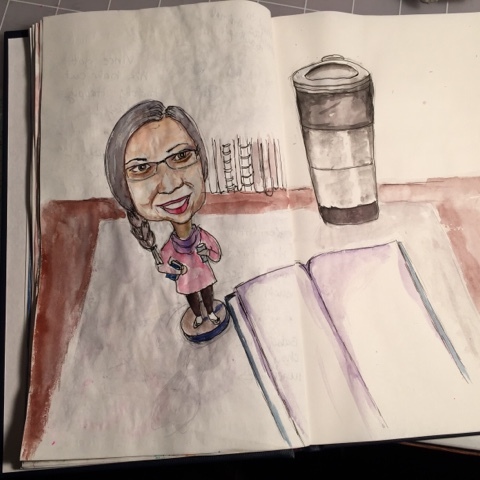 As for me, my bobbleneck wouldn't be able to hold up my bobblehead, so mine would be looking down at my bobblefeet while holding a book and a t.v. remote! Pretty sad, huh?